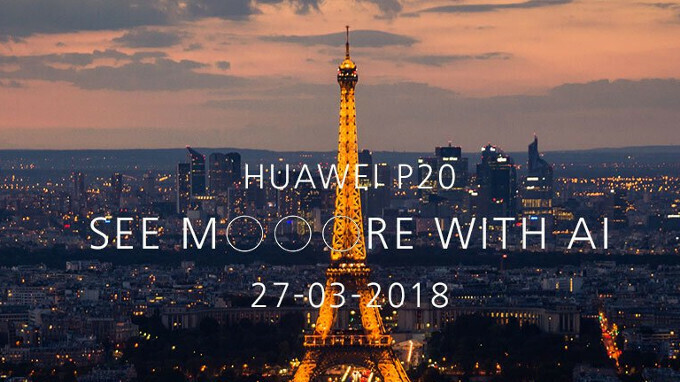 Huawei has already confirmed its new trio of P20 smartphones will be officially revealed on March 27. However, we already know what these phones will look like, while many of their specifications have already leaked out. One thing that was still a mystery until recently was the pricing. Well, that's not the case any longer since reputable leakster Roland Quandt revealed information about the P20 prices in Europe. At first glance, it looks like the most powerful Huawei P20 model will be priced higher than the Galaxy S9, but it will be much cheaper than the S9+. Huawei P20 Pro is expected to cost €899 in Europe, while the regular P20 model will be available for purchase for just €679. The main difference between the two variants will probably be the number of rear cameras. The cheapest of the three, Huawei P20 Lite will be launched on the market for just €369, which suggests this is clearly a mid-range device, just like we said in our previous report. Considering they will be introduced at the end of March, all three Huawei P20 smartphones should make it to market sometime in April. Unfortunately, they will not be available at any US carrier, but customers will most likely be able to pick them up from major retailers like Amazon and Best Buy. Ah, poor Europeans, eh? They always have to pay a hefty premium when it comes to electronics and vehicles. But then again, they LIVE in Europe, for crying out load! Everyone dreams of visiting Europe someday... I wish I was a French... Beautiful language, beautiful country and most people work 6 hour a day, 5 days a week there so one can ACTUALLY enjoy the life... A long time ago, I used to have a 13 hour job for 7 days a week (8 Hours on Sundays). It was a salesman job so I had to stand all the time with only 30mins for lunch and rest. It was.... Agony. Almost killed me... Ah, drifting in thoughts! My apologies. G'Day! France, Germany and UK might have higher prices, but have also higher salaries. Go a bit more east and you'll find European prices, but just a quarter of the salaries. My phone will turn 4 pretty soon. Well, my friend, life ain't easy on either side of the pond. At least for us common mortals. Maybe it's better to be French or German, I don't know. Romanian here, with a brother, 10 years older, living State side since 1995. I'm 30, he's 40. Wasn't easy for either of us. I got to visit him in 2009. On the plus side, US has cheap food, cheap gas, cheap electronics. Maybe it's because you guys don't have VAT. For basic foods, it's 9% if I'm not mistaken. For everything else it's 19%. And it used to be 24%. So basically, if a smartphone costs $700 in the US, it's gonna cost close to $1000 here. Because VAT, plus various import and customs taxes plus the seller needs a margin of profit, of course. Anyways, I digress. Western Europe is the place to live. And since this is a smartphone site... My current phone is a Oneplus 3 (for which I payed in 12 monthly installments). It will soon be 2 years old, and it's time for an upgrade. I started out 4 years ago on a 350 euro salary with a 250 euro rent. Didn't work 13 hours, however I did do overtime a lot. And for 1.5 years my weekends were practically only 1 day long. Even in Eastern Europe, with a s*itload of work and a s*itload of luck, you can make it. And I can say with certainty my next phone will be a proper flagship. Galaxy S9+, or maybe even HTC U12 or Nokia 8 Pro or Nokia 9. I'm in no rush. The trusty OP3 is 4 months shy of 2 years. Should still have a couple of security patches left in it. Hopefully with bugfixes too. Cuz I did notice a few annoying ones over the past few weeks.